Very beautiful view from here. 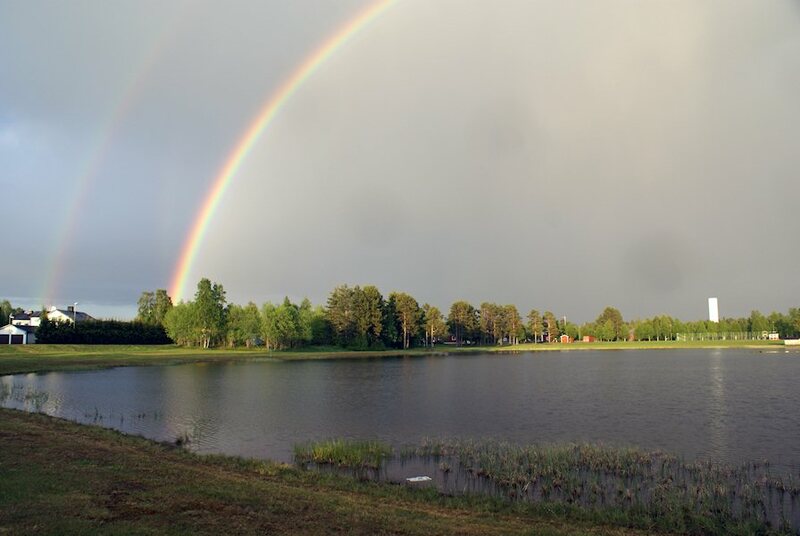 Unfortunately my lens wasn't wide enough to capture how the rainbow circled the whole lake. The second ring is clearly visible in this picture.